This is home - for now. This lovely flat, much as I enjoy living here, it not where we expect to be for the rest of our lives. We regularly discuss our plans for the future, for the next stages of our lives. There's definitely children in there somewhere - how many not yet defined, but even a cursory glance at my boyfriend's family tree suggests the odds are extremely good on having boys - and there's another home. This flat suits us well for now and has more than enough space. With a second bedroom, we have the luxury of having guests to stay now, and potentially of holding a child or children if and when they come along. It wouldn't hold a family with teenagers, though, and in our heart of hearts we both want something slightly different. Not necessarily bigger, but with a different space distribution. A bigger kitchen, more outdoor space (ideally a garden), and enough bedroom capacity to hold at least four fully grown humans. What I want to avoid, though, is falling into the trap of believing that we need more. More space, more bedrooms, more bathrooms. There are therefore two skills we need to improve on before we get to that point. (Or more honestly, I need to improve on.) These are: having less stuff, and using space more effectively. Hence the decluttering, the focus on finding and making possessions with meaning rather than acquiring them thoughtlessly. I would like to share some inspirational homes which are demonstrating just how possible it is to have a beautiful, personal, nourishing family home with limited space and expenditure. 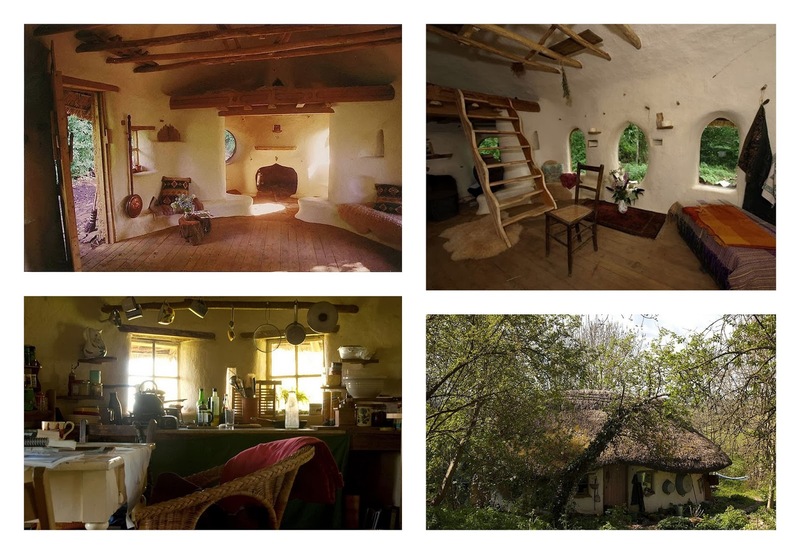 A retired teacher in Oxfordshire built a cob house in his backgarden. Just to prove it could be done. It went slightly over budget and ended up costing him £150. 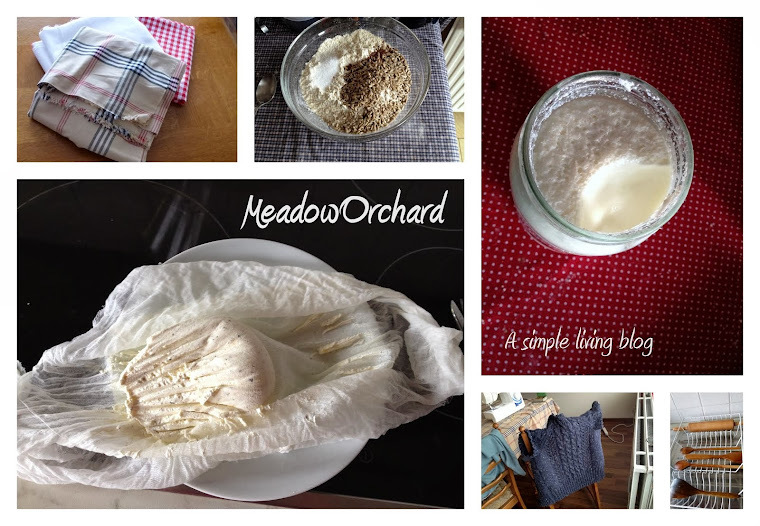 You want to talk raw local natural materials? I have to say I would prefer somewhere with running water and an indoor toilet (not necessarily flushing, though - a composting toilet would suit me fine!) but just looking at these pictures is an enriching experience. This is definitely a house with a soul. (Entertainingly, the house is now let out to a tenant who pays the rent in milk) Please click here to read more. I love cob as a building material. It's a mixture of soil, sand, straw and clay, and it naturally breathes, providing a home with clean air that is warm in winter and cool in summer. (Neat, huh?) The lime plaster and paint you need to use to allow the cob to breathe and prevent moisture from building up in the walls gives them a beautiful buttermilk yellow colour which I think is just gorgeous. And who doesn't love thatch? Or log fires? I particularly love the visible use of wood here, how you can see the beams from the roof construction, and the very organic shapes - the curves and unusually shaped windows. To get a window in cob, you pretty much just cut a hole, there's no need for lintels or anything like that, and you can build cob in the most fantastic shapes - not just box houses but any-shape-you-want houses. I love the idea of a building material that can be used so creatively and expressively.